This folksong has been arranged in a theme and variations format for a variety of instruments. 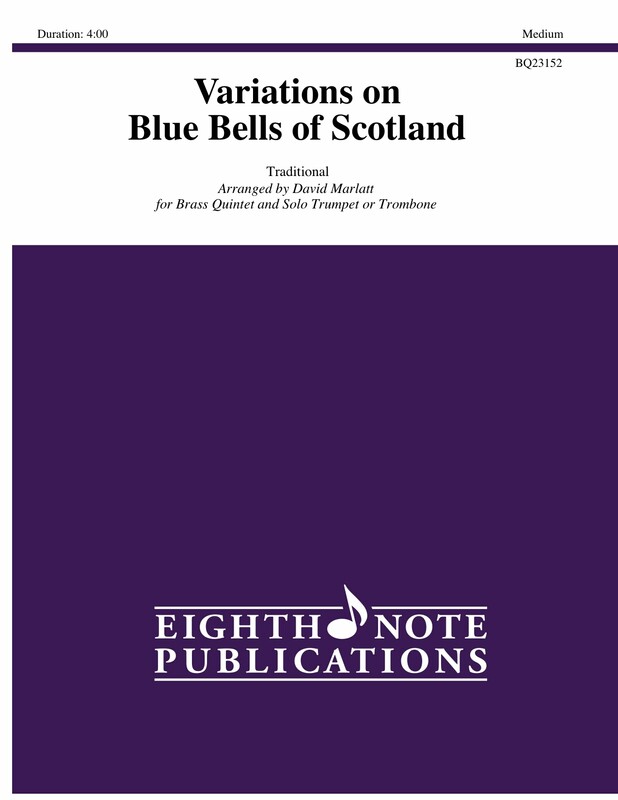 This is the third Eighth Note Publications arrangement for brass quintet of this popular solo. There is a version for solo trumpet, solo trombone and this arrangement for soloist (either trumpet or trombone) and quintet. The ensemble plays the accompaniment figures as well as the break strains. The solo part is very reasonable and sounds harder than it is!